App Store Available, Play Store Coming Soon. Finally! 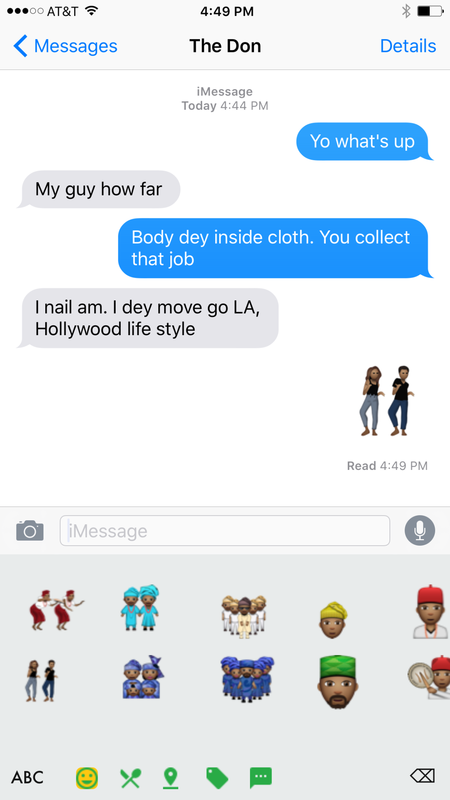 The cultural emojis you wish you had but aren’t included with the standard emojis. 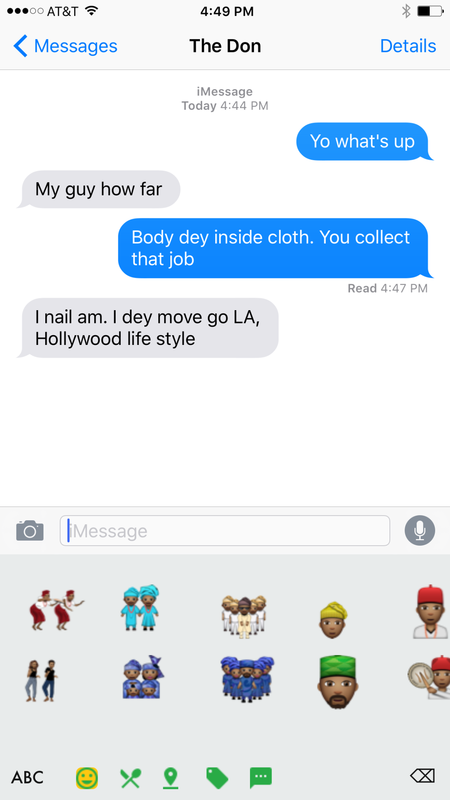 Naijamoji provides a variety of character emojis that don traditional attire and represent cultural figures. 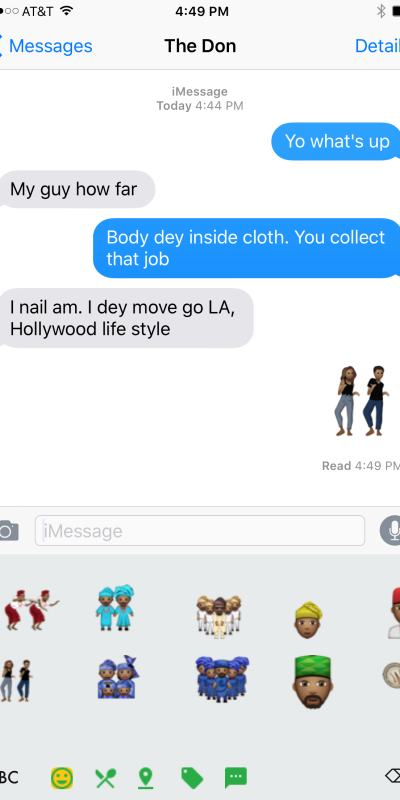 You know that Suya stick emoji you’ve been craving? Well now you can have that along with other Nigerian food and drinks you have been looking for. Objects that remind you of home. 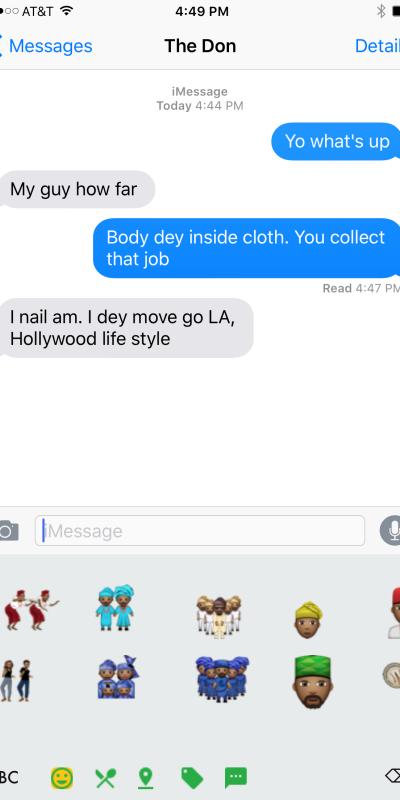 The selected objects are an expression of Nigerian Culture. For the times when there are no words to describe or respond, gestures are best. 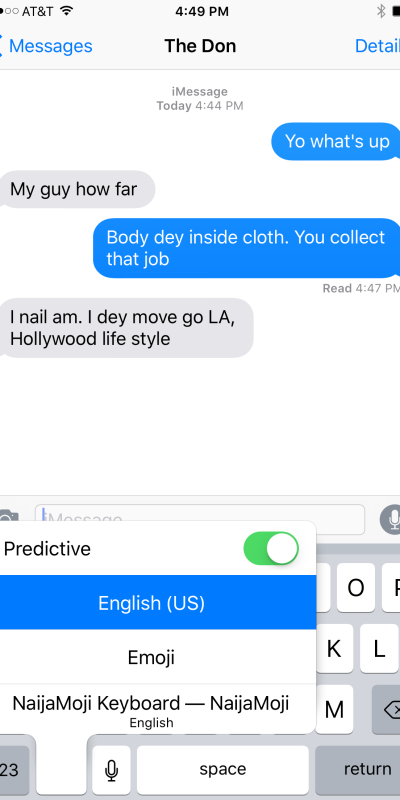 This app includes common Nigerian gestures. 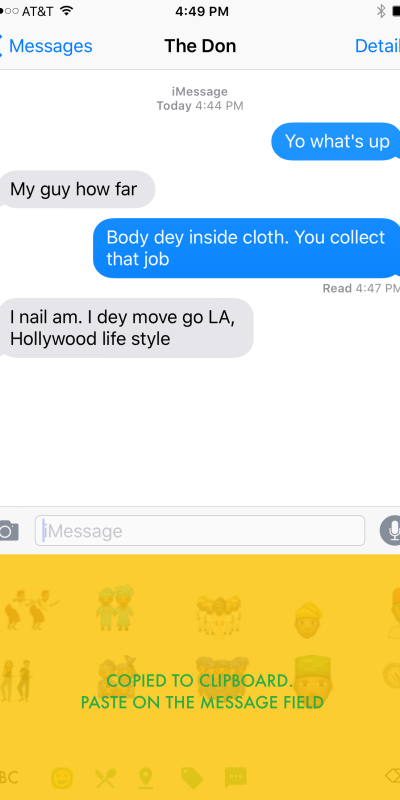 Naijamoji comes with a convenient keyboard that you can use directly in messaging apps while you’re typing! Communicate your pride.  Naijamoji makes your conversations more colorful and fun by using emojis of people, food & drink, objects and gestures that celebrate Nigerian culture. 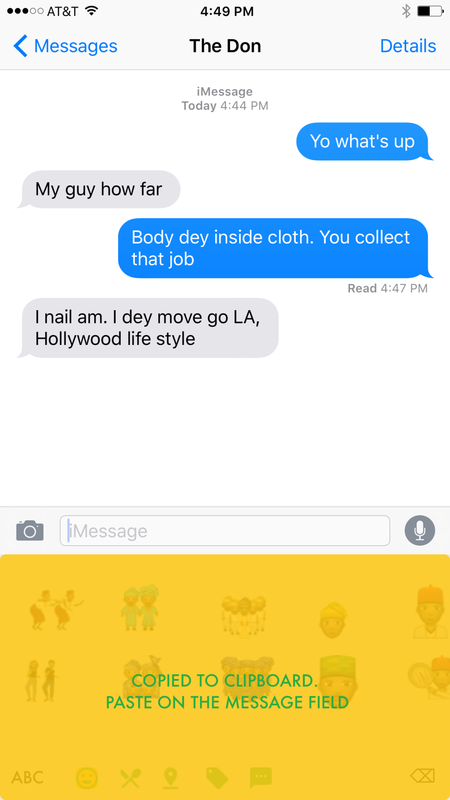 Install NaijaMoji quickly and express yourself Naija style!